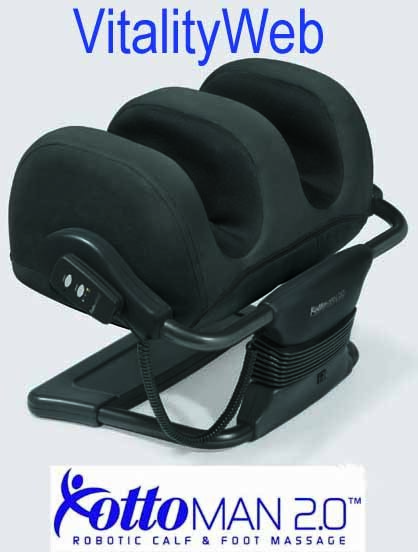 HT-1350 Pro Foot and Calf Massager combines professional massage therapy with classy design elements to bring you a most comfortable seating experience possible! Human Touch Technology® enables your tired, achy muscles to relax after all of the hustle and bustle during your day. Human Touch is the only company in the world to use Figure-Eight® Technology in our foot and calf massagers, ensuring a superior kneading massage that improves blood circulation to relieve sore, tired muscles. The ottoman rotates to enhance your comfort, and can be used with any chair for a rejuvenating massage at home or in the office. 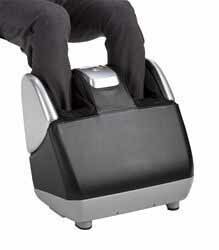 The CirQlation® Elite massages the calves in an upward, rolling or wave-like fashion. This motion forces blood away from the feet and toward the core of the body, to improve blood flow and make you feel better. For the ultimate indulgence, pair the CirQlation® Elite with any of our Human Touch iJoy ® chairs, to experience a full-body massage that will melt away stress, fatigue and tension. 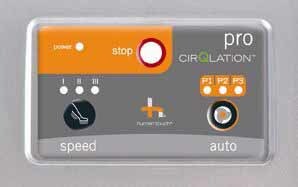 Flip the way you think about comfort and wellness - with the CirQlation® Elite. *WARRANTY INFORMATION: New Human Touch Ottoman Massagers include a manufacturer's 90 Day limited warranty against mechanical defects (cosmetics are not covered). 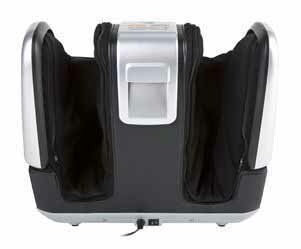 Refurbished Human Touch Ottoman Massagers have a 30 day limited warranty for parts. The warranty is not valid if the product has been misused or damaged in any way that is beyond the control of the manufacturer. The chair (or parts) may need to be returned to the manufacturer for service by technicians.